WASHINGTON, DC – Today, U.S. 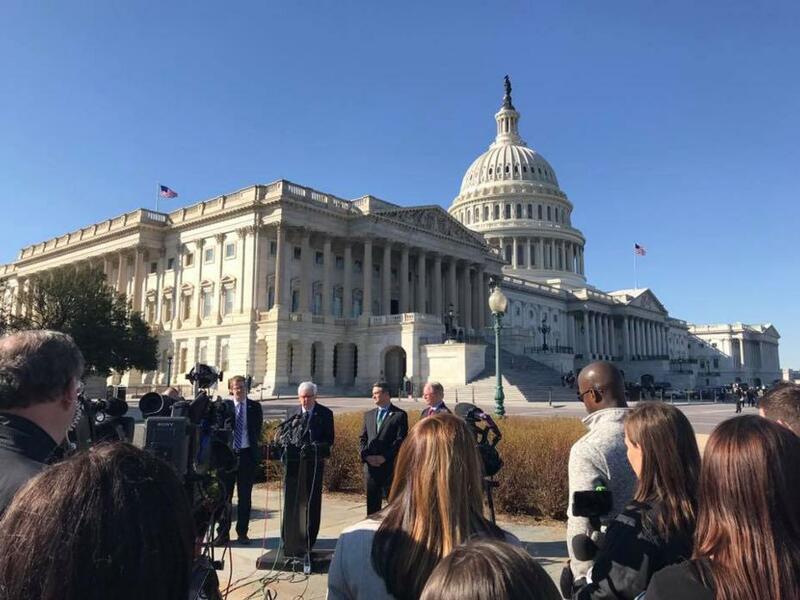 Congressman Harold "Hal" Rogers (R-KY), John Rutherford (R-FL), Ted Deutch (D-FL), and Derek Kilmer (D-WA) announced the bipartisan Students, Teachers and Officers Preventing (STOP) School Violence Act of 2018, H.R. 4909, during a press conference on Capitol Hill. We know that violence in our schools, including suicide, bullying, and mass shootings, is preventable through proven early intervention programs and training. Following tragedies like Columbine, Virginia Tech and Sandy Hook, the federal government has funded short-term school safety initiatives focused on crisis response, active shooters, and physical infrastructure. While these are important investments, we have not yet seen sustained strategies to curb youth violence or stop suicides and violence in our schools before they happen. Our students, educators, and local law enforcement need the tools and support to take proactive and continuous steps toward improving school safety. Sandy Hook Promise praises U.S. Congressmen Rutherford, Deutch, Rogers, and Kilmer for introducing the STOP School Violence Act. The legislation invests in early intervention and prevention programs to stop school violence before it happens by authorizing the Department of Justice to make grants to states for the purposes of training students, school personnel, and law enforcement to identify signs of violence and intervene to prevent people from hurting themselves or others. The legislation also permits the development and operation of anonymous reporting systems, and formation of school threat assessment and intervention teams to help schools intake and triage threats before tragedy strikes. “No child should fear going to school and no other parents should have to know the pain of losing their child in a school shooting. We can stop violence in our schools by training our students and their educators to know the signs and intervene. We are proud to support this legislation that will ensure that millions more schools will be trained in prevention and lives will be saved,” said Mark Barden, co-founder and managing director of Sandy Hook Promise, and the father of Daniel, who was killed in the Sandy Hook Elementary tragedy.